The US has the largest economy in the world, and as a result, speculators react strongly to U.S. news reports, even if it doesn’t cause a huge fundamental shift in the long run. What this means for your charts is that you will see several “spikes” even if there is a trend emerging. This can make it harder to spot trend or range indications. 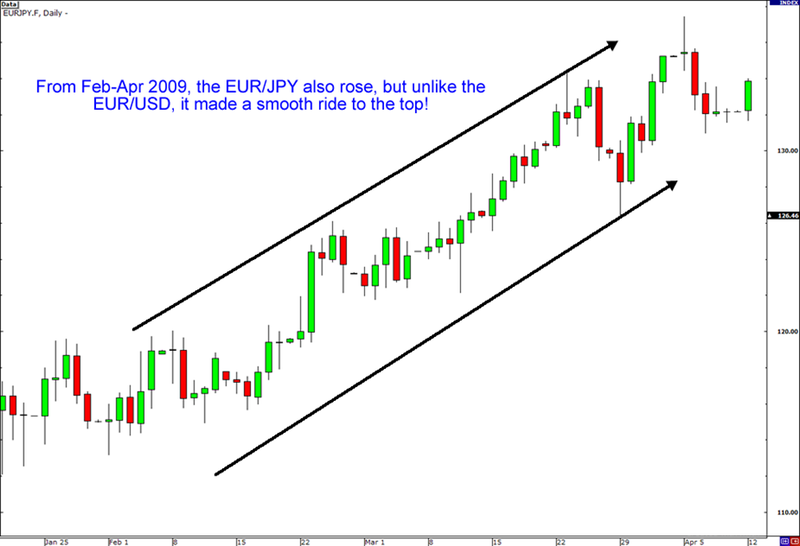 Conversely, we can see that during the same date range, cross currency EUR/JPY made a much, much smoother ride to the top. This was probably due to less spikes that came from U.S. data. 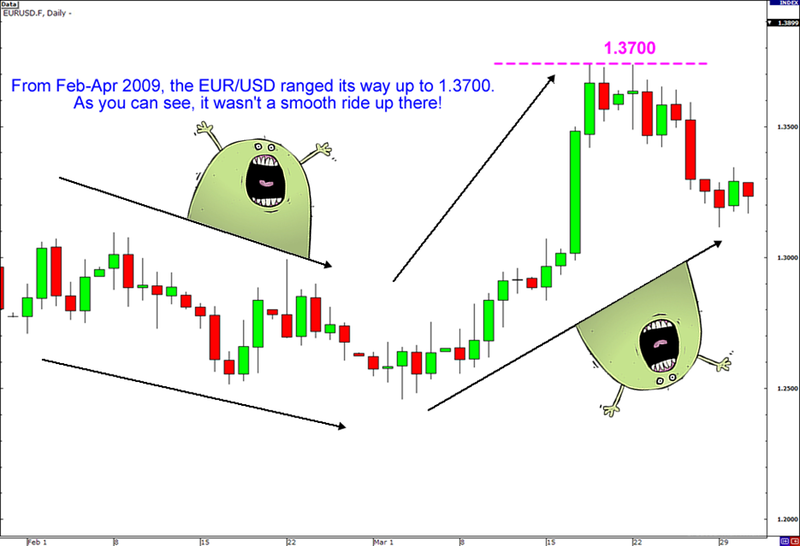 Our resident currency cross monster Cyclopip caught a hundred pips by riding EUR/JPY’s trend. Check out how caught that move! If you are a trend following kinda dude, then currency crosses may be easier to trade than the major pairs.